Robert Sachs is an internationally known author and expert in Nine-Star Ki astrology. Having initially studied with Macrobiotic master, Michio Kushi, Robert continued his training with Rex Lassalle and the written works of such masters as Takashi Yoshikawa and teachers from both China and Tibet. His book, Nine Star Ki: Your Astrological Companion to Feng Shui was originally published as The Complete Guide to Nine-Star Ki. Considered one of the finest and most useable books on the subject, it is now available in German, Dutch, Spanish, Greek, and Bulgarian. 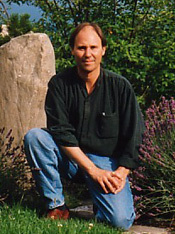 Robert teaches throughout the US and Europe, has had his own talk-radio astrology show in both New Mexico and California, and has been as a regular feature on London’s LBC’s “Mike Allen Show” and other local and syndicated national radio and TV shows. His insights in Nine-Star Ki are sought after by individuals and corporations alike.